Ii Naosuke was the Tokugawa shogunate's Chief Minister (Tairo) who favored and concluded commercial treaties with the Western powers and thus broke Japan's isolation from the world. Foreigners were then allowed to trade with Japan and take up residence in cities like Yokohama and Hakodate. 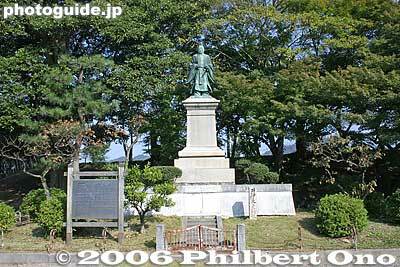 Ii was later assassinated in 1860 by samurai radicals from Mito (Ibaraki) who sought to oust the foreign "barbarians."